News flash: There’s still hope in this world. Amazon has ordered a straight-to-series 10-episode run of The Hunt, a ‘70s-set drama about Nazi hunters out for revenge against Nazi officials conspiring to establish a Fourth Reich in New York City, executive produced by Jordan Peele (and, yes, that sentence is real). Deadline was first to catch wind of the pickup. 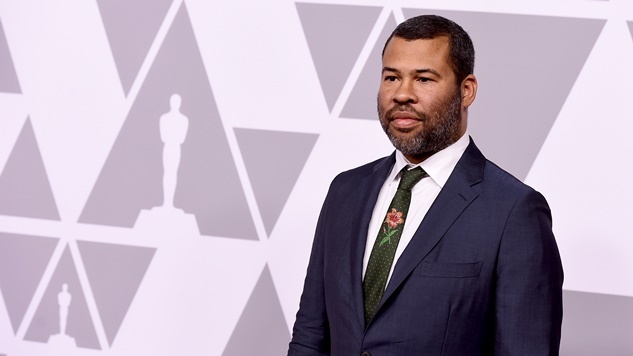 Peele is coming off the success of 2017’s critically acclaimed Get Out, for which he became the first African-American writer to win a Best Original Screenplay Oscar and the third person in history to be simultaneously nominated for Best Picture, Director and Screenplay for his feature debut. Additionally, Peele is writing and directing his film follow-up Us, due out in March 2019, as well as executive producing Amazon’s Lorena Bobbitt docuseries Lorena and HBO’s Lovecraft Country, lending his voice to Netflix’s stop-motion animated film Wendell and Wild with Key and Peele co-star Keegan-Michael Key, rebooting The Twilight Zone and co-creating Tracy Jordan’s TBS comedy The Last O.G., which has been renewed for its second season. Oh, and the dude just had his first kid. We guess he’s been busy. The Hunt draws from real-life events and was created by David Weil. Peele is executive producing the show via Monkeypaw Productions—which Peele founded in 2012, because apparently what can’t he do—in conjunction with Sonar Entertainment. Stay tuned for more information about The Hunt, as well as Peele’s breadth of other work—including a possible sequel to Get Out.